The envelope reached Bennett Grey early Wednesday afternoon. Reading between the lines, however, even someone who hadn't met the girl would suspect an independent spirit out to create a rich life for herself, an ocean removed from home. 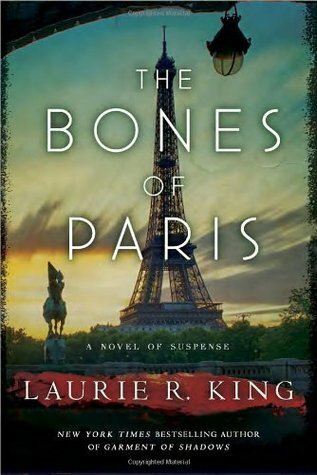 About The Bones of Paris by Laurie R. King: New York Times bestselling author Laurie R. King, beloved for her acclaimed Mary Russell/Sherlock Holmes series, consistently writes richly detailed and thoroughly suspenseful novels that bring a distant time and place to brilliant life. Now, in this thrilling new book, King leads readers into the vibrant and sensual Paris of the Jazz Age—and reveals the darkest secrets of its denizens. 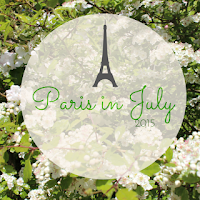 I read this for last year's Paris in July and LOVED IT! (My review here.) I wasn't expecting to like it, but it goes to show that reading something that doesn't necessarily jump out at you the first time means you're likely going to miss out on some great thing out there. This is horror, mystery and suspense done in all the best ways ... and set in Paris to boot! What books surprised you? Do tell!